R. Charles “Charlie” Shufeldt started his career more than three decades ago at Brown Brothers Harriman in New York. He moved to Atlanta in 1984, where he joined the predecessor of SunTrust Bank and started a Corporate Finance Business for the Commercial Bank. For more than 20 years, he worked in Corporate Banking, Capital Markets and Investment Banking at SunTrust. 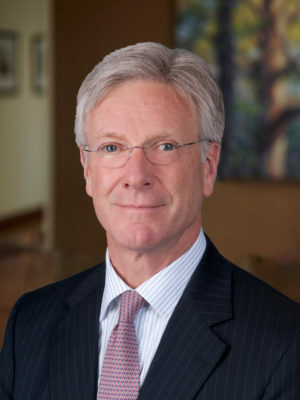 In 2010, he returned to Brown Brothers Harriman as a Senior Advisor. In addition to serving on the Board of Atlantic Capital Bank, he serves on the Boards of Telarix Inc., Scivantage Inc., Long Lines Inc., and FireDex Inc., as well as the Atlanta BeltLine Partnership, Trees Atlanta, and the PATH Foundation. Mr. Shufeldt is a graduate of Washington and Lee University. He also earned a Master’s degree in International Relations from Johns Hopkins University Paul H. Nitze School of Advanced International Studies.